Bhattacharya, who took over from former India head Steffen Berns last year, said the second phase development will start in the “near future. “The company started the first phase expansion in September, at an investment of about $50 million. That has the capacity to accommodate about 3,000 engineers. The facility will house the majority of the local development -including R&D centres of Bosch, Robert Bosch Engineering and Business Solutions, and Bosch Home Appliances. 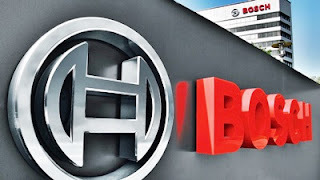 Bosch works in a number of technology areas including connected cars, IoT (internet of things), artificial intelligence and more for its businesses that include mobility solutions, industrial technology, consumer goods, and energy and building technology.